If your Sugar Land house is like most of ours, sooner or later it will require some sort of repair to your rugs – and that’s where KIWI Rug Repair Company can help! Our Sugar Land rug weaving staff is expert at all things rugs. Our Sugar Land Oriental rug weavers can handle your oriental rug repair needs. 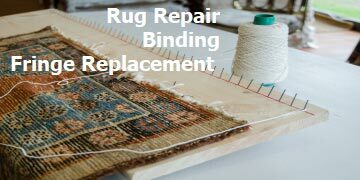 Our rug weaving and repairing services in Suglarnd, Texas can certainly assist in making your rugs the showcase element of your home like they’re meant to be. 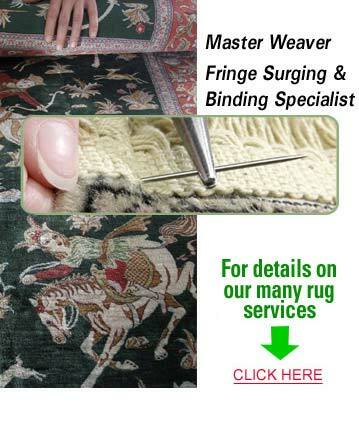 You’ll have the professional services of a senior rug expert, our master weaver (just in case you need full rug restoration), and a specialist who’s knowledgeable about fringe surging and binding. All this from one company – Kiwi. Yes, we’re a full services company that you’ve probably already heard of (hopefully, you’re already a KIWI customer). We do carpet cleaning, carpet repairs, upholstery cleaning, air duct and full-system heating and cooling cleaning and repairs, rug cleaning and repairs, water damage repairs, wood floor cleaning and tile and grout cleaning. In fact, we’re proficient in all these areas.